Tue., 8 Oct. - Mon., 21 Oct. Sun., 6 Oct. - Mon., 21 Oct. Mon., 20 May - Wed., 5 Jun. Mon., 16 Sep. - Tue., 1 Oct. Mon., 6 May - Mon., 3 Jun. Wed., 4 Sep. - Mon., 23 Sep. Sun., 15 Sep. - Thu., 3 Oct. Sun., 8 Sep. - Wed., 18 Sep. Tue., 17 Sep. - Wed., 2 Oct. Sat., 5 Oct. - Sat., 26 Oct.
Fri., 31 May - Wed., 12 Jun. Mon., 6 May - Tue., 4 Jun. Thu., 25 Jul. - Mon., 26 Aug. Thu., 16 Jan. - Wed., 22 Jan.
Wed., 24 Jul. - Thu., 1 Aug. Sun., 21 Jul. - Tue., 20 Aug. Mon., 6 May - Tue., 2 Jul. Situated on the waterfront, this property is 1.7 mi (2.7 km) from Pantan and within 6 mi (10 km) of Eks Fanfogna Park and Green Market. Cathedral of St. Lawrence and Trogir Main Square are also within 6 mi (10 km). A1 apt With Private Beach, Large Pool, Mooring.. 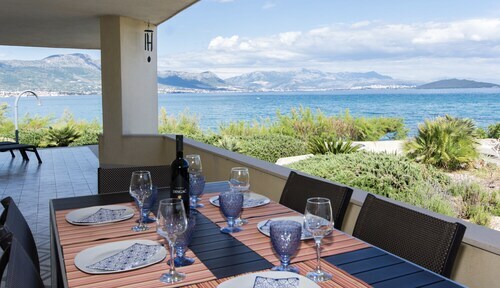 This Kastela property is on the beach, 1.7 mi (2.7 km) from Pantan, and within 6 mi (10 km) of Trogir Marina and Eks Fanfogna Park. Green Market and Cathedral of St. Lawrence are also within 6 mi (10 km). A2 apt With Private Beach, Large Pool, Mooring.. 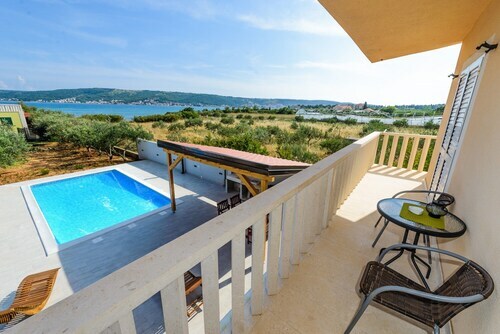 This Kastela property is on the beach, 1.6 mi (2.7 km) from Pantan, and within 6 mi (10 km) of Trogir Marina and Eks Fanfogna Park. Green Market and Cathedral of St. Lawrence are also within 6 mi (10 km). Situated on the beach, this historic villa is 1.7 mi (2.7 km) from Pantan and within 6 mi (10 km) of Eks Fanfogna Park and Green Market. Vitturi Tower and St. Dominic Church and Monastery are also within 6 mi (10 km). Situated in Kastela, this apartment building is 1.7 mi (2.7 km) from Pantan and within 6 mi (10 km) of Eks Fanfogna Park and Green Market. Cathedral of St. Lawrence and Trogir Main Square are also within 6 mi (10 km). Situated in Kastela, this property is 1.7 mi (2.7 km) from Pantan and within 6 mi (10 km) of Eks Fanfogna Park and Green Market. Vitturi Tower and St. Dominic Church and Monastery are also within 6 mi (10 km). 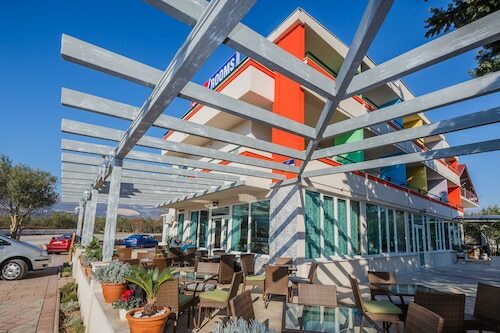 Situated near the airport, this hotel is 2.1 mi (3.4 km) from Pantan and within 6 mi (10 km) of Eks Fanfogna Park and Green Market. Cathedral of St. Lawrence and Trogir Main Square are also within 6 mi (10 km).